We were approached by a patent attorney company who wanted to launch an online trade mark search and registration service. After working on the initial logo design, we then worked closely with the client to define how the website would look and function. 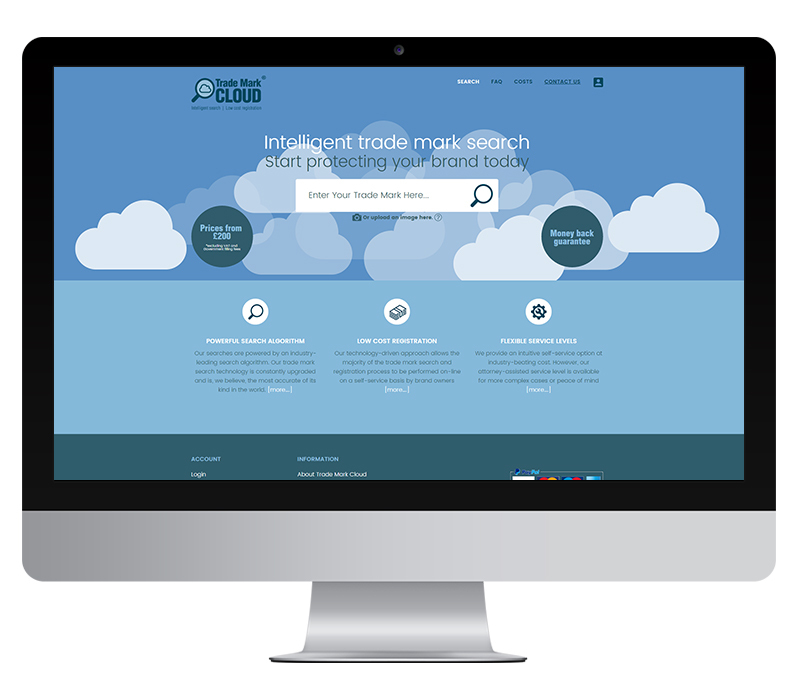 The outcome is a website that allows users to search the UK and European trade mark database and to submit their mark for registration. Working with the client we designed and developed a mobile responsive multi-step trademark registration process within a content managed wordpress website. The search begins by entering the trademark term, or by uploading an image. Then we developed a fast and flexible mechanism for searching the Trademark classifications (or ‘indications’) listings. This goes beyond what competitors offer by helping the user to locate the correct indication for their product or service without any prior knowledge of the trademark system. The actual trademark search is performed via a partner json API, and the results are fed back into the product selection / checkout process. By integrating the final steps with the popular Woo Commerce e-commerce plugin, the client is easily able to keep track of orders and make use of the Woo Commerce backend functionality. 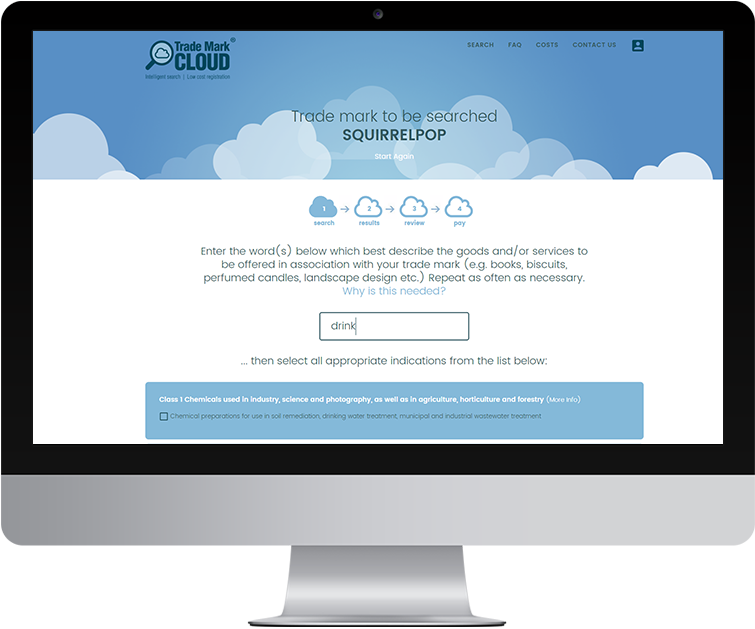 The first task was to create a logo for the Trade Mark Cloud that both suggested what the service was and created a sense of friendliness and ease of use.